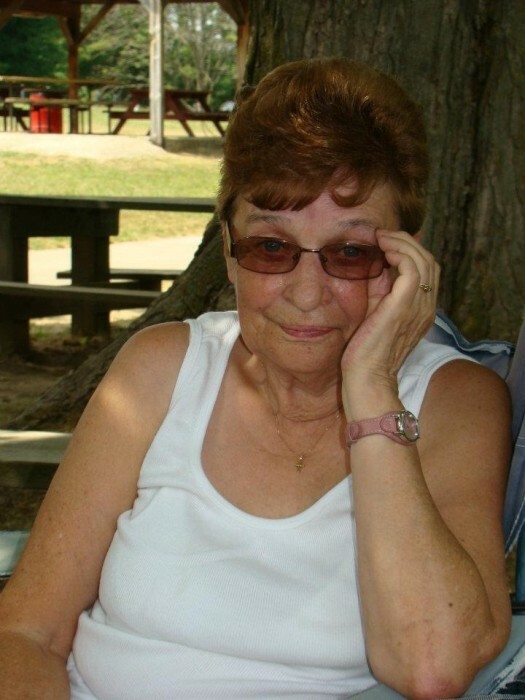 After a brief but brave battle, Bertha May Shular Mank passed away peacefully, surrounded by the love of her family at the Chapman House Hospice, Owen Sound, on Saturday, December 23rd, 2017. Bertha is survived by her daughter Polly Kirstine (Don) of Owen Sound, and Corinna Johnson (Michael) of Fieldale, Virginia. Also survived by her granddaughter Ashlyn Mank (Rob) of Desboro, great granddaughters Chassidy and Cheyenne, and stepgrandson Ty Johnson. Bertha is also survived by her siblings Linda, Kathy, Liz (Norm), Penny (Bryon), Rick, and Randy (Nancy). Also survived by many nieces and nephews. Predeceased by her parents Betty and Wesley Shular. At Bertha's request there will be no funeral and cremation has taken place. In lieu of flowers, memorial donations to Chapman House Hospice would be appreciated by the family.